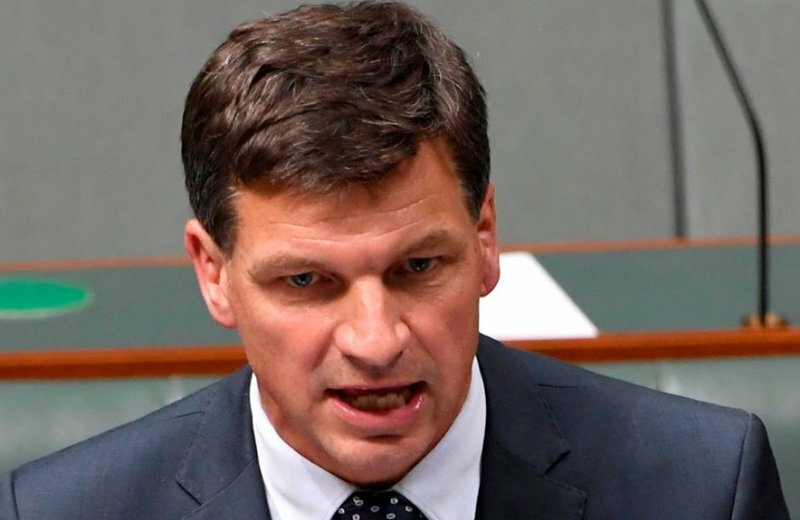 Federal Energy Minister Angus Taylor and The Australian have created a stir, indicating that a large number of rooftop solar installations across the country may be unsafe. The Australian (paywall) reports Minister Taylor has written to his state counterparts warning lives could be at risk from unsafe or sub-standard PV installations. His concerns are based on the findings of a national audit report that found up to one-quarter of all rooftop solar installations inspected since 2011 posed a “severe or high risk”. In an interview on 2GB with Chris Smith, Minister Taylor invoked the spectre of the pink batts fiasco. While the term “unsafe” is self-explanatory, “sub-standard” is defined in the audit report as rectification work being required and is classified as “high risk” (but more on this below). 80 per cent of the ‘unsafe’ installations since the inspection program commenced were caused by water ingress in direct current (DC) isolator enclosures on rooftops. (Clean Energy Regulator 2015). The report notes some inspectors rated installations overall according to the worst rating assigned to an individual finding, others assigned a rating worse than assigned to an individual finding based on collective factors. The full audit report can be viewed here. Australia’s Clean Energy Council (CEC) defended the industry’s overall good record over the past decade and the Council’s its role within it. The CEC is charged with the task of accreditation of solar installers and maintaining lists of approved solar panels, inverters and battery storage products. While issues regarding solar energy system safety and quality should not be glossed over, Clean Energy Council Chief Executive Kane Thornton says the audit report noted that a single part of a solar power system that is not completely up to standard does not mean a system is unsafe. “Obviously no industry is perfect, but the percentage of unsafe systems has declined this decade from 4.2 per cent to 2.7 per cent. This is better than the electrical industry as a whole,” Mr Thornton stated. Acknowledging the figures are still too high and in its ongoing efforts of ensuring quality, the CEC says it will use the Regulator’s report to further improve standards and compliance across the industry. Earlier this week the CEC summarised its activities this year relating to compliance, noting it had allocated 10,451 demerit points to 590 solar installers in 2018. Demerit points issued during the year led to 73 suspensions and five accreditation cancellations. The Council says it’s important for Australians to ensure the solar installer working on their roof is a CEC accredited professional, which can be proven through a photo ID card that all installers have. Mr. Thornton said electrical safety is overseen by state electrical safety bodies. The Regulator’s explanation of substandard makes the audit report defining substandard as “high-risk” puzzling. The Regulator’s full statement can be found here. System Inspections – How Often? Those with existing systems who have concerns should contact an appropriately accredited party to conduct an inspection. Issues can also occur during a solar panel system’s life that aren’t necessarily connected to the way it was installed or the quality of components (e.g., damage from birds and rodents). SolarQuotes’ Finn Peacock suggests having an inspection and system test performed every five years. While there is no doubt shoddy work is still being carried out on Australian homes by some (as in any trade), there are many great solar installers out there. One of the ways Australians can help ensure they choose a quality solar power system and installer is by following the steps in The Good Solar Guide – free to read online. I would be more concerned if the persons press release was by anyone other than the LNP. Energy Minister. The government has shown no signs of supporting solar power & this will continue as long as the coal industry supports the LNP financially. How could this be so as there continues to be massive subsidisation of solar energy by Government. The same investment in reliable 24hour dispatchable power would have secured our energy future by now and ensured country ‘s prosperity. 24 hr despatchable power in the form of hydro, pumped hydro ( by renewables) and distributed generation – ie the wind is pblowing somewahere always, and Solar thermal towers- which SA is currently building. Had the price on carbon pollution still been in place, much more renewable 24/7 despatchable power would have been implimented. ie, if you are looking for someone to blame- blame the Coalition governments. And if you are looking for unreliable generators, take a look at the very unreliable coal fired generators, very unreliable and unpredictable compared to the renewable alternatives. It’s worth reading the https://reneweconomy.com.au/ to stay informed. Just another dig at an industry that’s hurting their once deep pocketed donors. Sure there may be sub standard installations. But there are sub standard cars on our roads (Cherry, early Great Walls, Wrangler), there are substandard home builders, there are sub standard electricians, plumbers,aged care providers. The world isn’t a perfect one, and this idiot is calling for a perfect world – where it suits him to. “Industry donors”?? Don’t know whether this is the correct term. Maybe affecting solar investors who thrive on government subsidies. There is no perrfect economy but the real question is whether subsidies for renewables produce the benefits we should see. Does it lower costs for all consumers (rich and poor) , industry, increase productivity, increase jobs etc.?? If we have to sustain a dual energy system to deliver 24/7 power our costs in Australia and household bills will continue to rise. How do we then maintain our competitiveness in a world by increasing our energy costs greater than our competitors.? Inevitably our living standards will fall without one iota of difference to our climate. >> Does it lower costs for all consumers (rich and poor) , industry, increase productivity, increase jobs etc.?? Obviously, the greater benefits go to the people with the initiative to invest in their future. >>If we have to sustain a dual energy system to deliver 24/7 power our costs in Australia and household bills will continue to rise. Black coal, brown coal, oil & gas generators have large spinning dynamos, highly pressurised pipes & valves and lots of mechanical devices requiring maintenance with random failures. Reliability will become (is) an issue with our aging fleet (newest are 20+years). Maintenance costs will become an (increasing) issue. Further, they have to be fed fuels of some sort. Obtaining coal, oil & gas is environmentally destructive, extremely unhealthy (for workers) and very inefficient, and then we also have to transport it to the generation plants. In regards to 24:7 power … it’s just not that hard, and it really just relies on generation diversity, with Storage (Hydro, Li-On/other Batteries and molten salt). Wind/Solar + Battery Storage is now significantly cheaper than new coal plants. SA’s Big Tesla battery is both (extremely) profitable, and has stabilised the SA (and national) grid multiple times when the coal generators have tripped (failed), so “intermittent” renewable + storage are obviously a better solution than the proposals by the luddite liberals. It’s worth noting that when you see graphs of different generation types, the renewables are sitting at the top, above the coal, oil & gas … so the renewables look intermittent. If you put the renewables at the bottom of the graph, the “intermittency” completely disappears. Solar production is entirely predictable and over the eastern states, the diversity shows spectacular consistency. Similar to wind, while any particular plant won’t have consistent output, nationwide the consistency is spectacular. These articles don’t address my comment that asks why renewables investors are referred to as donors. My point was that they are making profits with massive government subsidies . I am sure they are not donating their money to save the world. Given the size and value of the oil,coal and gas industries in Australia I would venture to say the size of government subsidies quoted in attachhed articles in reply from Glen is miniscule. Perhaps the subsidies for these industries could be put into perspective – in terms of trade, national income, jobs and our general prosperity. On the other hand my government subsidy helped me buy foreign solar panels and an inverter – great for the “donors” to renewable energy in Germany and China who use our coal and steel to produce the products. The article is attacking subsidies on oil,gas and coal production not energy production. No doubt such dubious claims helps sell a headline but does little for credibility of writer. Apart from that I am all for eliminating subsidies for all energy generation. Inevitably some consumers pay more or we all pay as taxpayers. I would rather keep my hard earned money thanks. There are a large number of sub standard energy ministers in the current Federal Gov’t. Sub standard emissions from coal fired generators also spring to mind. Yes, I know this response is more political than technical but it is pertinent. A large number of failures could be sheeted home to low quality components used that are allowed in line with Standards Australia rules. When you have Countries with vast amounts of Solar installed and no roof top isolators, makes me wonder why they are used. Personally have done this Mickey Mouse corn flake packet qualification which had a 2 hour block within the 40 hours of actual practical work. The rest of it was all about calculating the yields an a heap of other BS stuff, that means little to nothing on a roof top solar installation. I cannot find a Solar/DC Sparky to fit my new panels and new S270w Enphase Micro Inverters. I am not after a guarantee for the materials I supply and the installer can collect the STCs. Not one Electrical Contractor is interested?